Tetra pond food sticks have been specifically developed by Tetra to give pond fish a complete, balanced diet as they contain all the animal and vegetable protein that your fish need. 50 years of extensive research in fish nutrition has made Tetra a world leader in fish food. 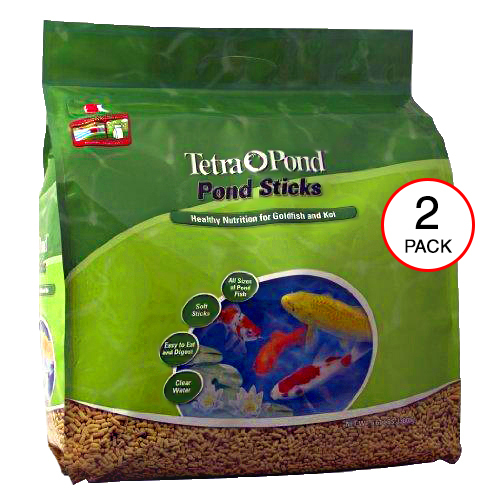 Tetra Pond Fish Food sticks quickly soften on the surface making them easy to digest - even for smaller pond fish. An ideal maintenance diet that provides nutrition for energy, longevity, and overall health. MIN. PHOSPHORUS 1.0% MIN. ASCORBIC ACID (VIT.C) 100 MG/KG.